The risks to organizations have become so severe that many simply pay their attackers to make them go away -- a strategy that may only embolden the crooks. It's a case of asymmetric electronic warfare. Ransomware, which encrypts files until a victim pays to have them unlocked, can be devastating to an organization. Barring an up-to-date backup, little can be done aside from paying the attackers to provide the decryption keys. The costs of ransomware and extortion are difficult to calculate. Last June, the FBI estimated that the CryptoWall ransomware family alone had cost US organisations $US18 million over the prior year. In October, an industry group put the total cost of CryptoWall - which was first detected in mid-2014 - far higher, at a staggering $US325 million. Extortion costs are even harder to estimate, since companies are often unwilling to admit they fell victim. Computer security company, FireEye, says it knows of companies that paid more than $US1,000,000 to prevent sensitive data being released, though most incidents are resolved for less. The FBI and the Secret Service "in many cases are fine with in essence acquiescing to payment of the ransom," Nealy Cox said, though he emphasized that this is not their official position. Groups conducting the attacks are difficult to find. They're experienced at covering their tracks and demand payment in the cryptocurrency bitcoin, which makes payments hard to trace. Also, the hackers are often based in countries that don't cooperate closely with the U.S. on cybersecurity, making arrests unlikely. "It's a a big challenge to decrypt victims," said Andrew Komarov, CIO of InfoArmor, which collects intelligence on cyberthreats. The vulnerability allowed researchers to send a command that made it appear that thousands of victims had paid their ransom, causing their computers to be decrypted, according to InfoArmor's report. But happy endings are uncommon. 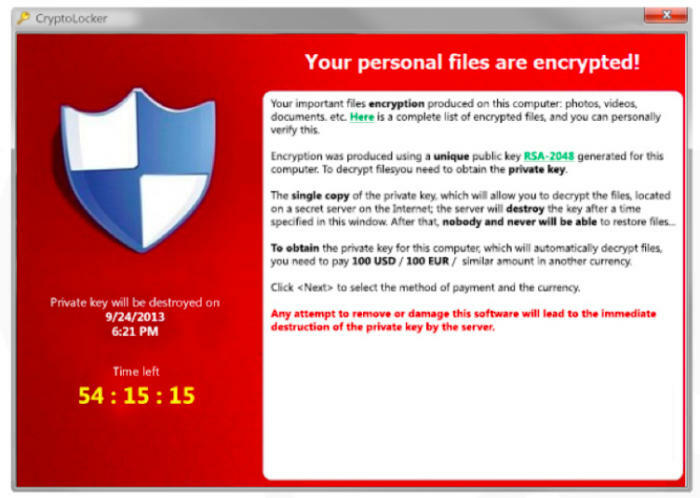 The most well-documented ransomware incidents have hit the medical industry. Hollywood Presbyterian Medical Center in Los Angeles paid 40 bitcoins -- about $US17,000 -- to decrypt its files. Allen Stefanek, president and CEO of Hollywood Presbyterian, said the payment was "in the best interest of restoring normal operations." "We're starting to see adversaries in many regions start thinking of data as a weapon," said Dmitri Alperovitch, CEO of Crowdstrike. "Certainly the North Koreans did that with Sony." Last month, Roman Hussy, who runs a security blog, launched a Ransomware Tracker -- a tool that catalogs servers around the world that have been tied to ransomware campaigns. He started the tracker after seeing many people become victims. "The golden rule is performing backups frequently and never pay any ransoms," Hussy wrote. "Paying ransoms will fund the miscreants' cybercrime operation and the infrastructure that they are using to commit further fraud, as well as motivate the attackers to keep carrying out their attacks." Hussy's resistance strategy might work eventually, but it would require many organizations to fall on their swords. Kevin Mandia, chief operating officer of FireEye and founder of Mandiant, said the result of not paying could mean great risk and embarrassment -- if, for example, a company's general counsel's email is leaked. "What would you do?" Mandia said in a recent interview. "The alternatives are pretty bad." "Finally, Russian organized crime and groups out of China realized, well, we still have the hacking skills, we're getting card data we can't monetize as easily anymore, so just extort," Mandia said. "Some of this is like hostage negotiations," Crowdstrike's Alperovitch said. "You can start the dialog with a criminal and see if you can stall them and get yourself more time." But "nothing is foolproof when you're dealing with thieves," he said.